Learn how to write an eBook? and make money by selling online. There are lots and lots of opportunities were available online to earn money. Besides those opportunities, now, we are going to concentrate on how to write an Ebook and make money by selling on various platforms. An Introduction to What is an e-Book and How to write an eBook? Many programs like Adobe PDF Reader is used to view eBooks and it can be read even on browsers these days. It has many advantages than the hardcover and softcover books. You can even print any pages of your choice. End-of-course it is quite cheaper, as there is no publishing cost required. Mostly eBooks are made up of texts. You can create fiction, non-fiction or any other category of your choice. You can create 500 page Novel or a 30-page short story. It is up to you to decide, what you have to opt for. EBooks can also include audio and video, background music’s or voice of yours. You can create a complete course and then download it within an eBook. Putting up altogether, an eBook can include text, audio, video, and links to websites. Before getting into the actual article, let me refresh your mind by telling you some of the different ways to make money online. Below are a few ways you can earn a handsome amount by sitting at home with an effective marketing strategy. Well, starting a blog and writing article on daily basis will earn you a good money using different monetization techniques. The money making techniques such as Google Adsense, Affiliate Marketing, Selling Own Products or Services will help you make a lot of money. All you need is a website with a niche and capable of writing unique contents to get the traffic. Many people have started creating their own YouTube channel and are uploading tutorials or useful information’s in a video format. YouTube will pay you if your channel has a good number of visits. YouTube monetization will be successful if your videos become popular in the certain genre. The process is very simple, just complete the registration process and upload unique videos. 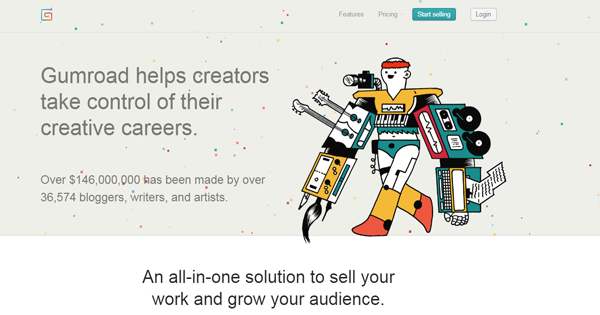 Then apply for the Google Partner Program and start generating revenue by displaying advertisements over the video. 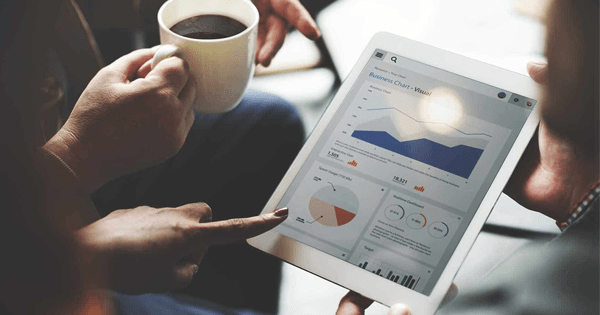 An Affiliate Marketing Business is a performance-based business model where an individual can earn money by promoting other’s product or services. As of today, most of the businesses empower affiliate business model to reach potential customers easily. If you are good at writing cool articles, you can approach a popular site to write articles for them for an good pay. You can also sign up in freelancer and give your skills into it. You will be getting online jobs as per your skill mentioned by you. Online tutoring is a very trending online business. A person with knowledge in any subject with a capability to teach candidates is eligible for online tutoring. Be it in Maths, Physics, chemistry or any language, there is a wide number of websites offering jobs to online tutors. Your communication skills should be strong enough to communicate with the candidates. You can earn money by doing online surveys. Companies pay for you if you do surveys. You need to have an internet connection with a laptop or desktop. As I said earlier, you can sign up as a freelancer by specifying your skills and ultimately you will get relevant jobs from all over the world. Selling photos online is another upcoming trend, where you can make money by selling your photos. You need to have a camera and a photography skill for it. There are a lot of websites, providing cash in turn of photos. There a few websites, which gives you money for a good review of Apps and websites. You should have a good writing skill to get a success in it. This is one of the oldest forms of earning money online and it still exists. All you need to find out is the genuine website offering data entry jobs. There are many other opportunities available online for the people to make money online. Let us now discuss how to write an E-Book, and Procedures to follow. Also, I have listed a few best sites to sell your E-book for money. Have you ever thought of writing and publishing eBooks and do not know where to start? Кnоwing how to write an eBook is a valuable skill to have when it comes to online marketing whether you’re trying to bring traffic to your site or blog. 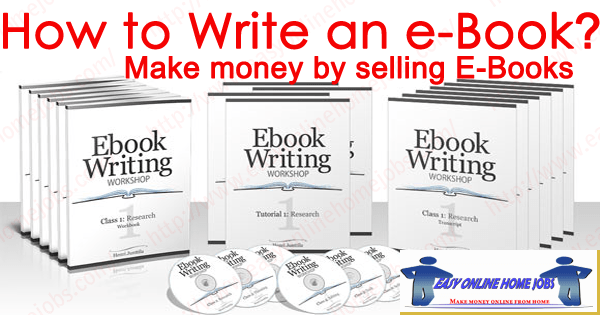 You can also make money from knowing how to write an eBооk. Just follow simple steps and you can quickly start working on eBook writings and would understand better of how to write an eBook. The first step in the process of eBook writing is to choose a subject or a topic. If you want to know about the topics that most of the people prefer and will pay money to know more about it. Then do a Google search for keywords related to your topic. There is no word limit for an eBook. You can write 500 pages or even more if you have an attractive content to impress your audience. If you can impress your readers in ten pages, that is great, you can publish your eBooks in 10 pages. Pick a unique and creative title for your eBook. The title is the most important factor that gets the attention of people. Create an outline and give a proper heading to keep your readers stick to your article. The way of writing is one of the major things you should consider. You should not follow the way you find in the standard print book. Writing should be in a conversational manner to keep your readers engaged. Of course, your content should be unique. Because of high competitions, we find a lot of contents on the same topic. But you should make your article special and unique to attract your readers. You should write in a way that can be understood by all ages. Use easy to understand terms and illustrate with an example to explain. Use simple fonts in your eBook. A standard format with a proper font size will do wonders. You can print a few pages to check if the font is appropriate and easy to read for users. The PDF format is the most accepted and standard format. Adobe reader and many browsers nowadays support pdf format reader. You can compose in MS Word or Open Office and then convert easily to PDF format. You can also find may online tools to convert word to PDF for free. Once you have done with your draft, time to edit it. Check Proofreading and grammatical errors. Either you can use a professional editing tool which is paid or you can use a free tool available online. Giving an errorless output to your readers, make them read your article with ease. Designing an impressive cover is one of the key success for your eBook. Hire a designer for designing your eBook cover. Though we should not judge a book by its cover, we often see the front cover and decide to read. It is a human mentality and hence we should give importance in front cover designing. 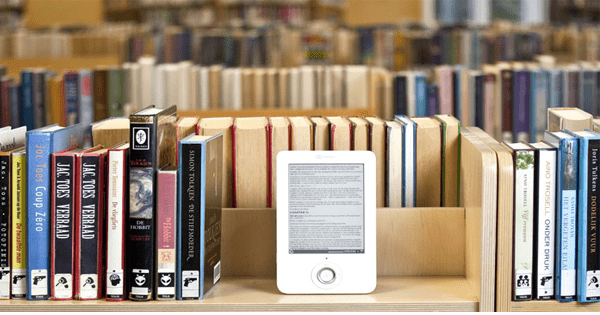 How to Sell Your e-Book and Earn Money? 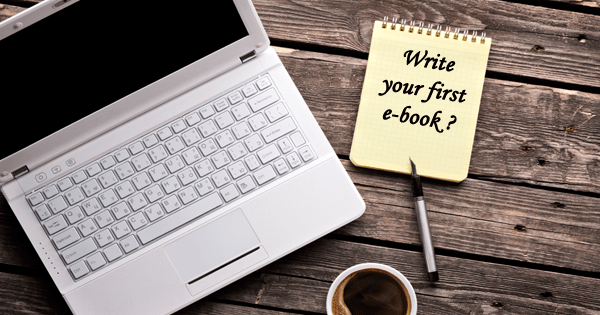 So far we have seen, what are an eBook and the important things to follow before writing your first E-Book. Now we will discuss how to prepare for selling your first E-book? Now let us see the steps for how to sell your eBook and earn money through it. Well, marketing is an important factor when you are ready to sell your eBooks online. You should have a well-equipped marketing strategy to get a success. So, the first step in selling books online is to select your target audience or readers. Suppose your eBook is on the topic “Courses After 12th”, your target audience will be obviously a 12th passed student. You can promote your eBooks with all social media available. If you are new to this field, initially you can send some samples free of cost. Later on, when you start creating a brand and become famous, you can consider the pricing of your eBook in a competitive manner. Start with a lesser price as people are more attracted to less expensive books with good stuff. This approach will increase your product purchase and many people who read your books will start reviewing it thereby increasing your market rate. Facebook, Twitter, LinkedIn are some of the free marketing platforms you can use without any cost. For example, one of the trendy ways to promote your eBook without is to use Facebook Marketing Page which is free of cost. Well starting a personal blog is the best choice for marketing your ebook. It is easy to start. All you need to have is a domain and a server. Once your blog is ready, you can post your articles on daily basis and can drive traffic to your websites. Use the content you have in your eBook to create interesting articles that target your audience. There are many famous websites where you can post these articles and include links to your blog or website. Don’t forget to mention your name as author. Contact your close circles like your friends, family, and colleagues, and give them your eBook samples. Request them to write testimonials on your blog about your book. Get more and more reviews about the eBook which will give you popularity. This will boost up your product market in less time. Everybody wants their website to be on the top of the Google rank. Getting your product on the first page is everyone’s dream as many people prefer the first page results. In order to get your website on the top, you need to use appropriate keywords to rank on top. All you need to have is a basic of SEO knowledge. This is one of the most opted methods for publishing eBooks online. You can self-publish your article on Amazon Kindle store. The sign-up process is very simple and anyone with an eBook can publish there. Once you have uploaded your eBook, it will available to all your readers who use Amazon Kindle. Apple iBооk plays second fiddle to Amazon Kindle Direct Publishing when it comes to e-book sales online. You have to save your e-book as the ibооks оr .e-Pub file to be accepted and published on Apple iBooks Store. Use iTunes connect to sign up and directly publish your E-Book on this platform for sale. Buyers will need an I-Phone, or I-Pad, as well as an Apple ID with a valid form of payment of file to be able to buy a book on Apple I-Book Store. If you have your E-Books, you could try to list them on iBook store and make some money. Gum-rоad is a simple payment and digital delivery system that allows authors to perform E-Book sales directly into their website. While most people think of Shopify as the best ways to sell goods, an increasing number of authors are using these platforms as a way to sell digital goods. Making it easier is the ability to use digital-delivery app plugins to enable instant delivery of E-Books to the customer. Well, so far we have learned about various platforms from which we can earn money online by selling eBooks. If you follow the tips and this article, you can create a wonderful E-book of your interest and start earning money out of it. People find it difficult to write an E-book. But it’s not necessary that you should write large articles with 500 words and more. If you are good enough to convey your message in 100 words, you are good to go ahead as most people prefer short article than a long one. Writing E-book is an art, if you learn this effectively and knows some marketing strategy, then you are good to proceed. Go through all the platforms for publishing E-book and choose the one which fits for you the best. In today’s generation, everyone is having the internet and everyone is having a smartphone. Many smartphones support pdf and people can access your E-books very easily. So writing an E-book is the best choice to earn money online, if followed in a correct way and using a correct marketing strategy. To achieve a great success, you eBook should reach to the right audience and for that, you can take the help of social media. Social media plays a vital role in publishing your article for free and if you want more reach, you can pay to get more reach as well. A shortcut to get high traffic is through social media is an obvious fact. So, it is important to be active in social media to spread knowledge across. If you follow all the steps, and learned how to write an eBook and publish online, you can surely make a decent income. The success is in your hand! !